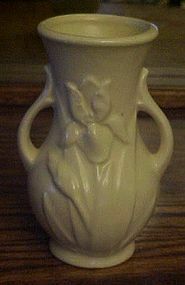 Nice large Shawnee vase. 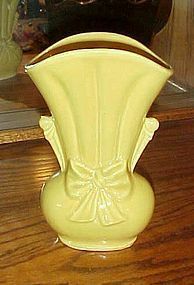 About nine and three quarter inches high. Raised marked in mold Shawnee USA 880 on the bottom. 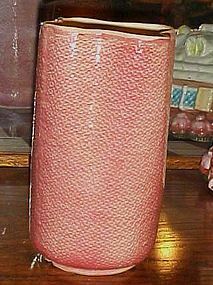 Rich bright pink with a coarse woven texture that reminds me of a burlap bag. Off white interior. Mint condition. No chips or other damage. No stains. 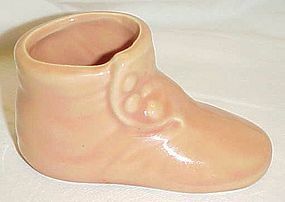 Shawnee Pottery Button Baby Shoe Planter. The planter is glazed in gloss pink. This is a very nice planter. The bootie is 2 3/8" tall, 1 7/8" wide, and 4 3/8" long. There are no cracks or chips. The bottom is marked USA in impressed letters. 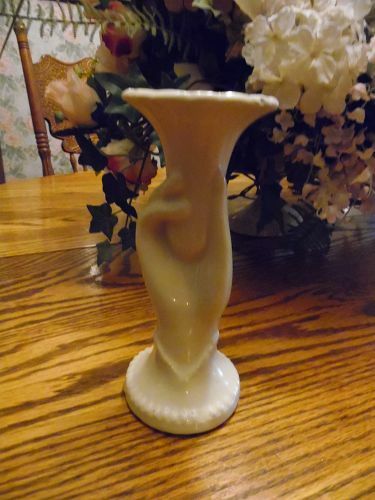 This Shawnee Planter is in Very Good Condition and would display well on any table or cabinet. 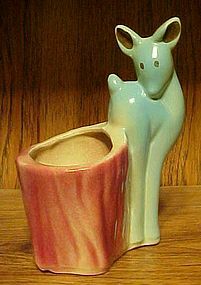 A MUST HAVE addition to your Shawnee Pottery Collection. Some think this shoe is made by McCoy, but is made by Shawnee. 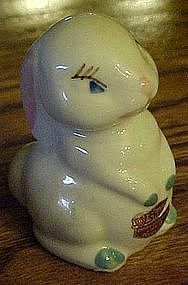 Rare little bunny rabbit figurine by Shawnee. 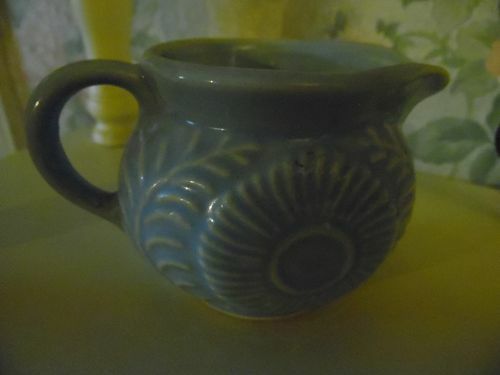 Measures 3 1/8" tall. Has the Shawnee foil label on the front. 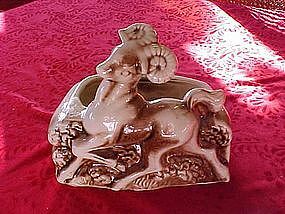 Wonderful condition with no damages.There is a glaze pop on his tail. ADORABLE!! This is a wonderful flower pot made by Shawnee (marked). Nice brown tones and glazed pottery. Measures about 6 1/2" tall and is almost 7" long. It is perfect, no chips or cracks.